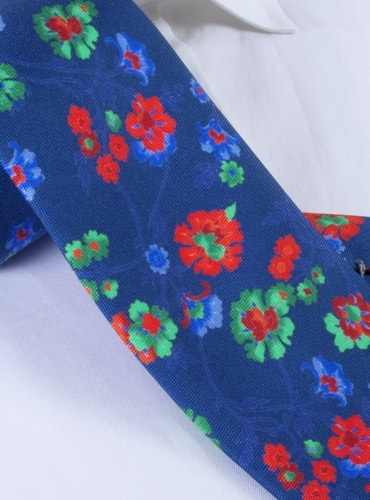 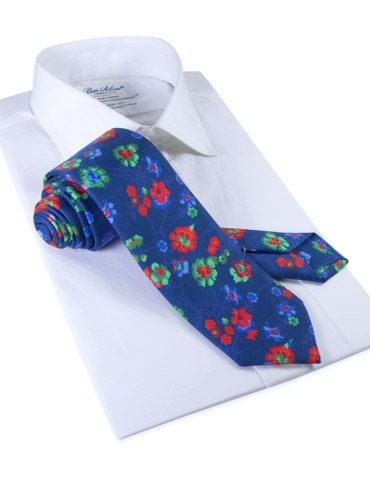 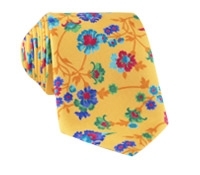 Vibrant floral silk ties, entirely hand sewn, and printed exclusively for us in Italy. 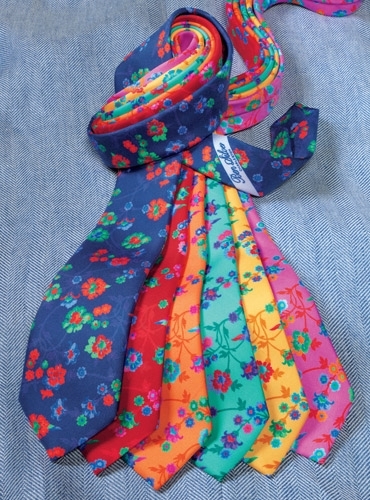 Available in six unique ground colors: A-navy; B-ruby; C-apricot, D-sea foam; E-marigold; F-rose. 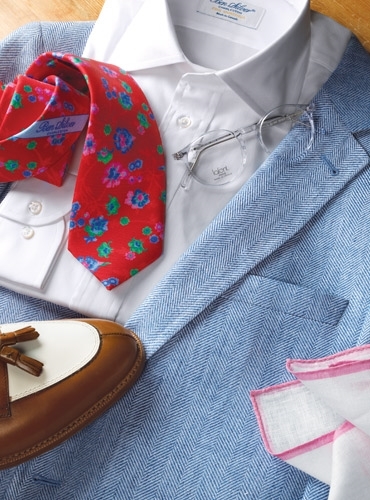 Shown here in: A-navy.